Nuns teach at st Jospephs college, Abiang Island. 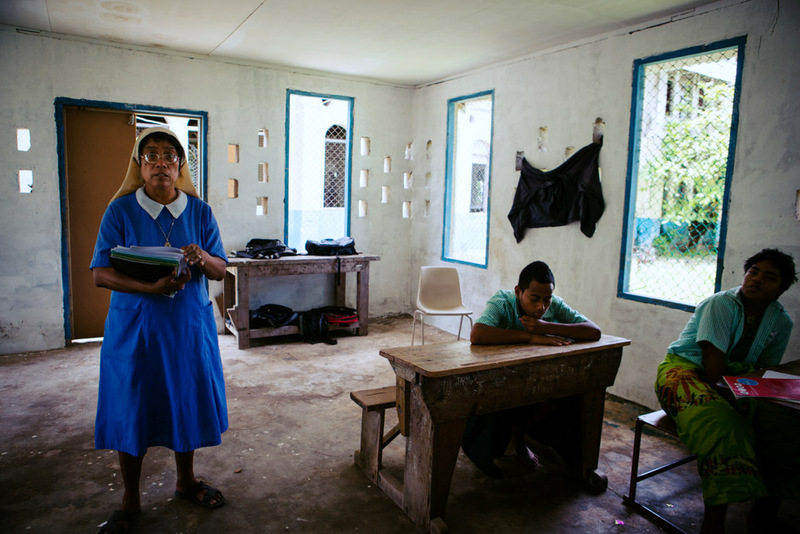 Founded in 1939, it has gone from strength to strength and is now a leading centre for learning in Kiribati. Its alumni include both current President His Excellency Anote Tong, and previous incumbent Teburoro Tito.